The favorites to win the NBA MVP in 2015 are probably Stephen Curry and James Harden, but Marc Gasol should be looked at very carefully even if his numbers aren’t as impressive, and anyone sleeping on LeBron James should think again because it seems that he’s just starting showing us what he’s still capable of. 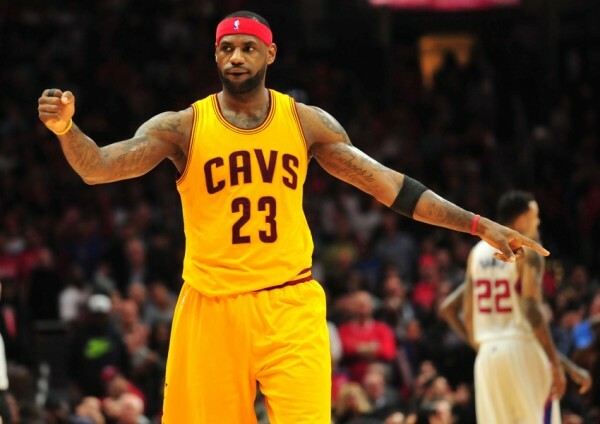 It’s hard to understand why LeBron James is thrown out of the MVP discussion. People keep mentioning it to be a competition between James Harden and Stephen Curry. But James is third in ESPN’s statistical rating and 7th in PER. The Cavaliers haven’t been doing as well as expected, but there’s still almost half a season left to play, and James, if he keeps performing at the level he has been showing this month, is more than a valid MVP candidate. There’s the usual debate on whether team success should matter or not, and just how successful should that team be. Anthony Davis has been fantastic this season (leading the league in PER) with 24.2 points, 10.7 rebounds and 2.9 blocks per game while shooting 55.7% from the field. But the Pelicans are constantly hovering around .500 and might not make the playoffs. The voters tend to punish great players on less than great teams. And what about the reigning MVP, Kevin Durant? For him it might be a matter of body of work. He has played just 20 games so far this season, and that might not be enough when he has 20-25 games less than the rest of the competition. He is averaging 25.3 points in only 32.8 minutes a night while shooting a very impressive 51.9% from the field, but the Thunder are still some way off their usual standing and seeding in the West, and that helps forget about him in the debate. Klay Thompson? That 52-point performance with 37 points in one quarter might be a bit blinding to some, but as good as Thompson has been, he hasn’t been that special. Maybe it’s not his fault that he’s playing for such a good team with Curry, Bogut Green and Barnes by his side in the lineup; a great team might actually hurt someone’s chances of winning the MVP. But as of now, Thompson, invidually, doesn’t seem to stand a chance against the other candidates.